StepUp Ministry — G.G. 's Closet is Moving! Can you help? G.G. 's Closet is Moving! Can you help? The space we have been using for G.G. 's Closet is no longer available, but we want to be able to continue offering this service to our participants. 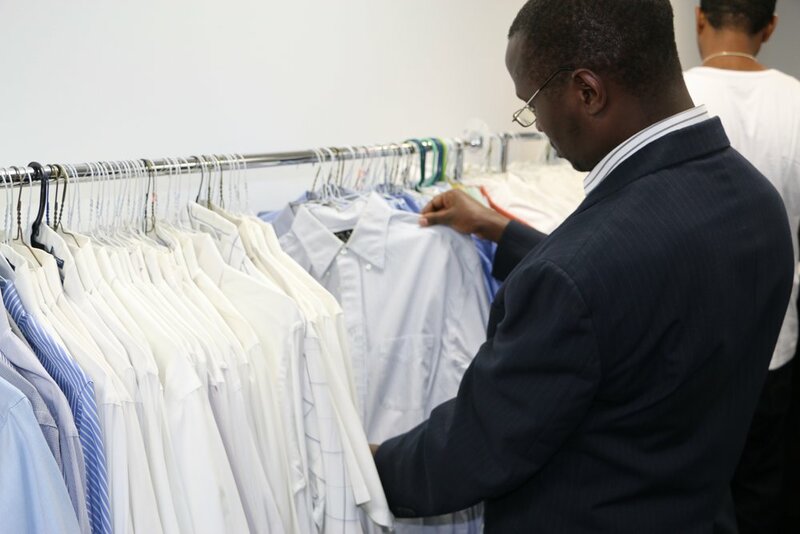 Since G.G.’s Closet opened, all the men who have attended StepUp’s Employment Week have been outfitted with interview suits, shirts, ties and shoes, helping build their confidence and prepare them for a successful interview. As we search for a new space, we will be temporarily suspending donations, but please continue to keep us in mind for future donations. Most importantly, if you know of a space that we could use, please let us know! We are looking for a 2,400 sq. ft. space anywhere in Raleigh.